It’s been just over a week since Kurt and I roasted one to make up for the fact we didn’t get to on Thanksgiving Day. That I’ve been eating turkey all week (and still have more to eat) is all my fault. I saw our local store had some left and I hadn’t had home-roasted turkey in 23 years. I got excited by the prospect. I bought the smallest one they had, but it still weighed 19 pounds. 19 pounds of turkey for two adults. We knew we’d be eating that bird for ages, so we made mass quantities of side dishes to go with it. Result: a fridge full of leftovers. Despite both of us eating turkey once or twice a day for a week, there is still some left. I like variety in my diet. I can usually stand to eat a favorite dish two or three days in a row, but even that gets old, and I start looking for something — anything! — else to eat. A week is seriously pushing it. 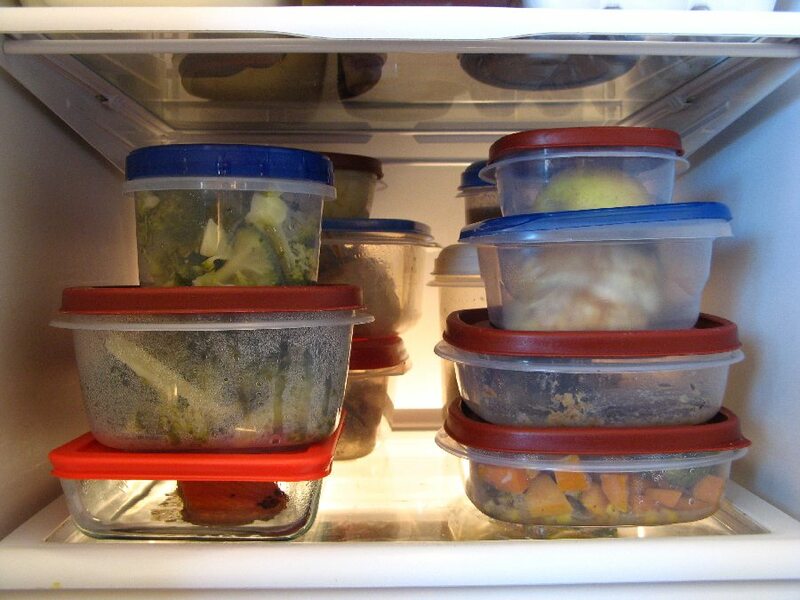 You’re thinking we should just freeze the leftovers and eat them in January, and you’re probably right. Only I keep thinking, “If we freeze the turkey, I’m going to have to cook.” And that’s where I get all conflicted about leftovers. 2) I know exactly what I am going to get. The chance that something could go wrong is removed, and I can be certain that dinner will be a success, because it already was. 3) Dinner is ready whenever we are. It’s just minutes from fridge to table. 4) No pots or pans used, so clean-up is quick. 3) The good stuff goes first. A day always comes when you stare into the fridge and say, “We’re down to brussel sprouts and mashed turnips” and try not to cry. 4) Most meals taste best fresh out of the oven. But in all my thinking about leftovers, something came up that had nothing to do with convenience, boredom, or taste. What does “leftover” mean? It means there was so much food that everyone ate their fill and there was still food on the table. And that’s when leftovers go into the blessing category to stay. Boredom is nothing compared with my gratitude when I realize that, unlike most of the people in this world, I get more than enough to eat. I live in a country where food is abundant, and I never go hungry. I can cook a meal that has so much food in it, some of it goes uneaten. How can I best show gratitude for the abundance in my life? By doing my best to keep those leftovers from going to waste. Even the brussel sprouts and turnips. I’ll be having turkey for lunch. How do you feel about leftovers? Are they a burden? A blessing? Boring? Wonderful? Be sure to let me know what I forgot to mention.